Sarah: Bubbly, sparkly, and purple. This drink attracted all of the men. 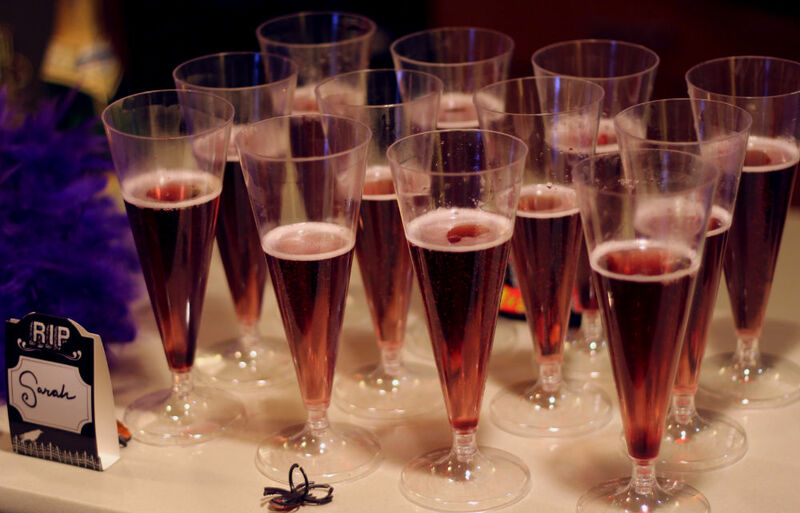 Pour a little bit of Chambord into the bottom of a champagne glass. Fill the glass with champagne. Top with a few Pop Rocks. Winifred: Traditionally witchy, strong, and has a pretty big bite. Heat one cup of water on the stove until boiling. Add in the Jello mix and mix until fully dissolved. Add in 1 cup of Cinnamon Whiskey and a couple ice cubes, mix. 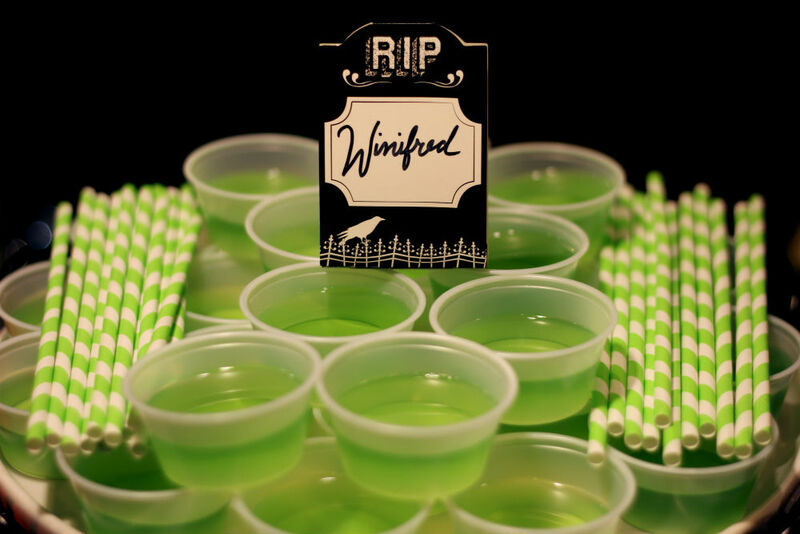 Pour into Jello shot containers and let chill in the fridge for four hours. 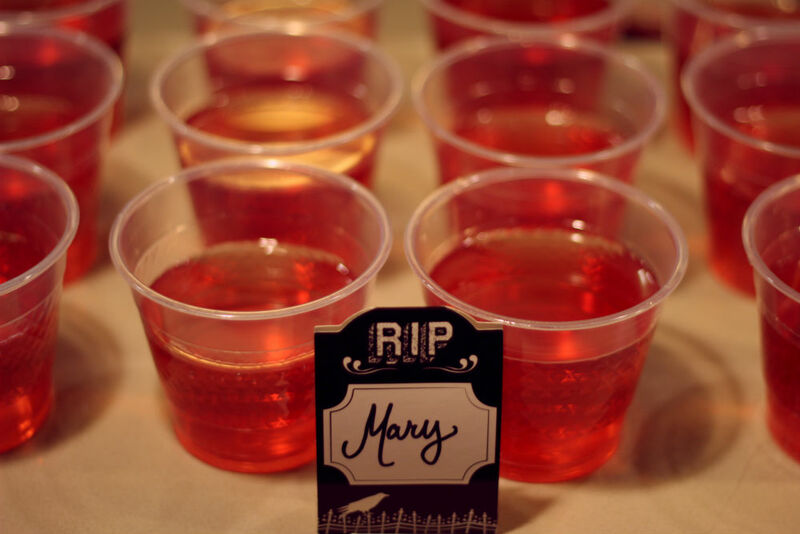 Mary: Fruity, fun, and reliable. Mix together in a large pitcher with ice and pour into individual cups. Which Sanderson sister is your favorite? oh my goodness, I want to make the first one tomorrow for Halloween. Never thought of putting pop rocks in a drink…. Such a good idea!